Exhibition: 24 March - 1 July 2018. 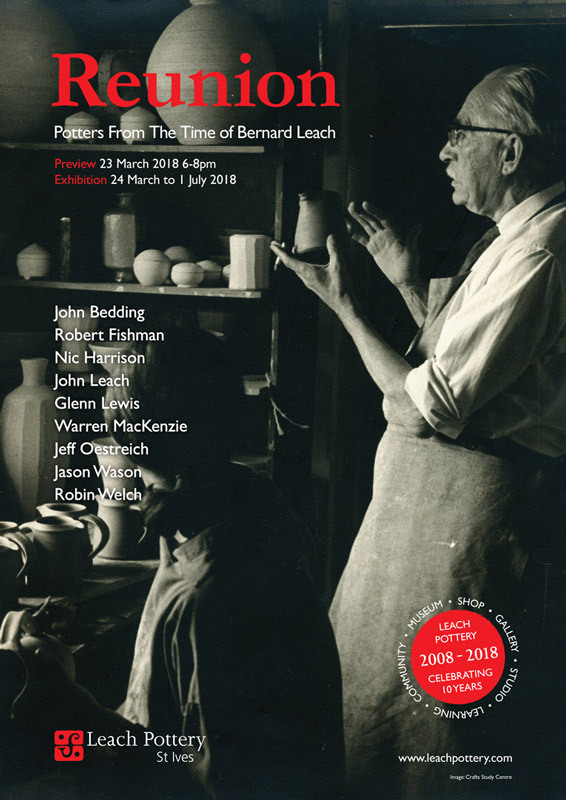 The Leach Pottery presents ‘Reunion: Potters From The Time Of Bernard Leach’, its first selling exhibition of 2018, showcasing pots from working potters who apprenticed, trained, and worked, during the time of Bernard Leach. ‘Reunion’ includes potters from Cornwall, the UK, and as far away as Canada and the United States. 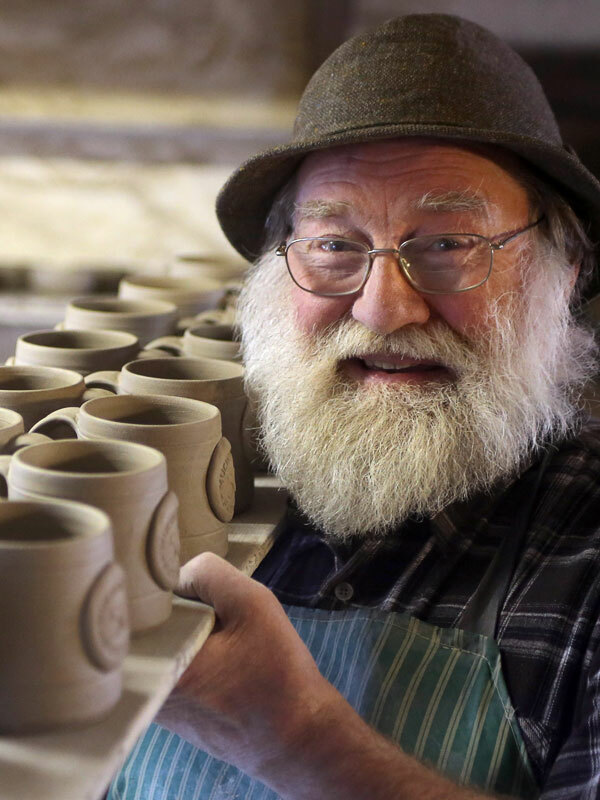 Some of the potters trained at the Leach Pottery over 60 years ago: Warren MacKenzie, for example, apprenticed at the Leach Pottery from 1949 to 1952, last visiting for a residency in 2013 and now over 90 years of age. Nic Harrison, from Cornwall, was the last student taken on at the Pottery during the time of Bernard Leach, in 1979; Leach passed away the same year. ‘Reunion’ features John Bedding (UK; Leach Pottery: 1968-70 & 1972-78), Robert Fishman (USA; Leach Pottery: 1976-78), Nic Harrison (UK; Leach Pottery: 1979-80), John Leach (UK; Leach Pottery: 1960-63), Glenn Lewis (Canada; Leach Pottery: 1961-63), Warren MacKenzie (USA; Leach Pottery: 1949-52), Jeff Oestreich (USA; Leach Pottery: 1969-71), Jason Wason (UK; Leach Pottery: 1976-81), and Robin Welch (UK; Leach Pottery: 1953).